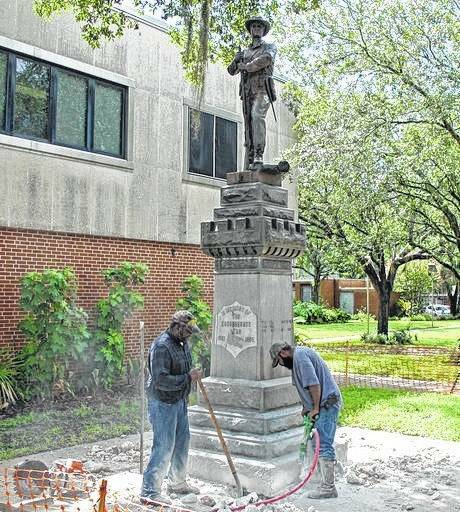 Workers begin removing a Confederate statue Monday in Gainesville, Fla. The statue is being returned to the local chapter of the United Daughters of the Confederacy, which erected the bronze statue in 1904. County officials said they did not know where the statue would be going.